The All-Star rosters were officially announced on ESPN at 7pm Eastern Time. 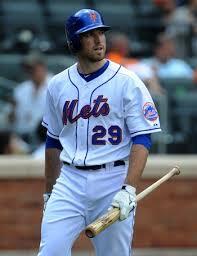 The Mets were represented by Daniel Murphy. It was the first time since 2003 that the Mets had just one All-Star. That was also a rough year for the Mets as they were represented by just Armando Benitez. David Wright finished second in the NL 3B vote but wasn’t elected in despite four third basemen getting in. Aramis Ramirez who has missed time on the DL was elected the starter for the first place Brewers, Todd Frazier, who has been the best 3B in the NL this season also got in. Matt Carpenter who is having a down year along with utility man Josh Harrison are also third basemen who will be going to Minnesota. Wright didn’t have a strong year but he’s a better choice than Harrison or Carpenter. 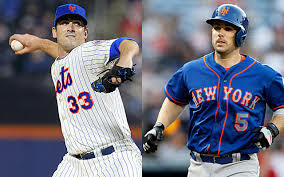 The Mets being as bad as they are record wise really hurt Wright as well as Jon Niese’s chances. Niese wouldn’t have played anyway since he was officially put on the DL today. 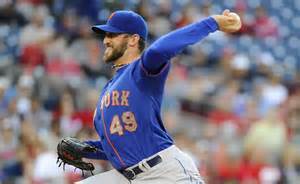 It was no surprise that Niese was put on the DL but the Mets wanted to wait to make the move to see if Dillon Gee would be ready to pitch Wednesday which he will. 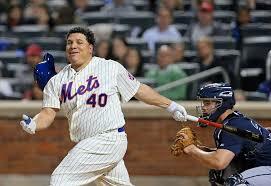 It is disappointing that the Mets have only one All-Star? Perhaps a little but they didn’t exactly have a bunch of deserving chances. With four guys who can play third already on the NL roster it is unlikely Wright will make the team even if he gets hot this week and injuries occur. 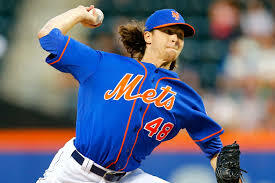 Niese won’t make the team either as an injury replacement since he is already injured. 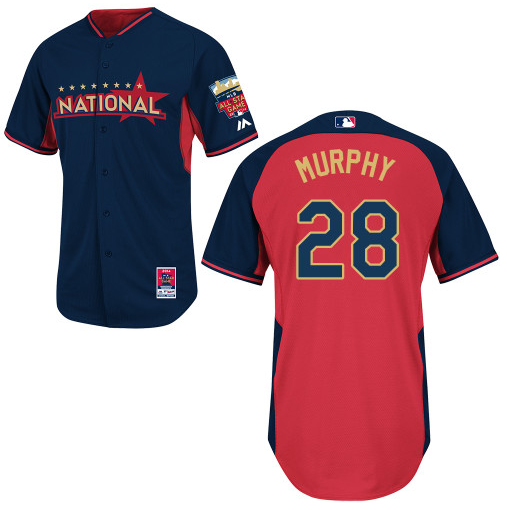 Congrats to Daniel Murphy on his first career All-Star selection. Murphy was shocked to hear the good news from Terry Collins. “I’m very excited, but the word I’d use is humbling,” Murphy said. “And the other word is blessed.”Murphy told reporters after the Mets 8-4 win vs. the Rangers. Murphy was picked as an alternate by NL manager Mike Matheny not by the players. Matheny made some questionable roster choices but not having a second Met wasn’t one of them. Who are the Mets All-Stars this season? With the 2014 all-star game now only a month away, let’s take a look at the candidates to represent the New York Mets at Target Field in Minnesota next month. David Wright: You can make the case that Wright is having the worst first half of his entire big league career. He has just 4 homers and is hitting just .265. Wright is hitting just .127 in his last 14 games (7-55 AB) with zero homers. 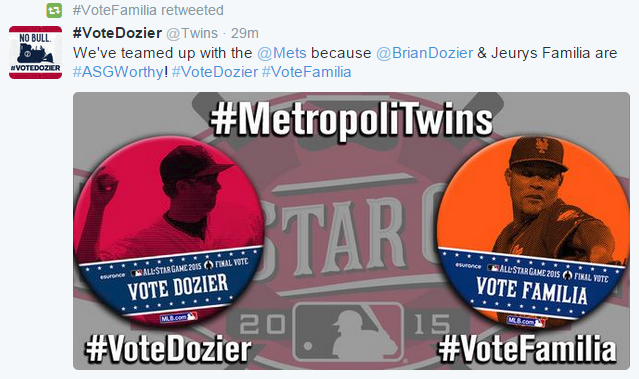 He is batting one of the worst slumps of his career yet still may get voted in to start the all-star game. The third basemen position in the National League is just anemic right now. Nolan Arenado is hurt, Ryan Zimmerman is now in left field, while Pablo Sandoval and Pedro Alvarez haven’t hit much this season. Wright is currently in first place in the all-star voting and with no other big name having a decent year behind him it looks like Wright could make the team as a starter even though it hasn’t been a good year for the Mets captain. Todd Frazier and Anthony Rendon are candidates to back up Wright at third. Daniel Murphy: Murph has been the Mets best hitter this season in what could possibly (probably) be his final season in Queens. 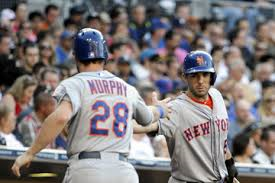 Murphy is 2nd in the National League in hits with 83, only one behind Paul Goldschmidt. Chase Utley is going to start the game at second base but a legitimate case can be made for Murphy to be his backup. His main competition comes from Neal Walker (who is now on the DL) and Dee Gordon. Gordon has been making a name for himself this season with 36 steals but Murphy beats Gordon in BA, OBP, SLG, OPS, and pretty much any other statistically category not named SB. The thing that hurts Murphy most is the Mets poor 30-37 record. The Mets may actually get only one all-star. Jon Niese: Niese is the Mets dark horse to make the All-Star team. 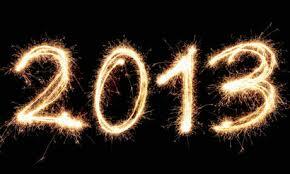 He has put together his best year statistically in what is now his 7th season. Niese has a sparkling 2.54 ERA but unfortunately that only puts him 7th in the National League. What will really hurt Niese is his 3-3 record as he has already recorded seven no decisions this season. It would really help him if he could just record a couple of wins here before the break but with the way the Mets offense has been going I wouldn’t hold your breath. These are the only three Mets with even a chance to make the All-Star Game. It has been a tough year for most Mets even individually so far through 40% of the season. Wright, Niese and Murphy are the only Mets with even a chance to make the team so we will have to wait and see when the rosters are announced in the first week of July. Remember plenty of guys will get hurt and Murphy and Niese have a chance to get in as a replacement later on. After starting the year on the disabled list, Jon Niese was the forgotten man in the Mets starting rotation. He still seems to be flying under the radar as he is currently putting up his most impressive season to date. The left-hander has gone 3-3 with a 2.68 ERA in 12 starts this season. Niese hasn’t allowed more than three earned runs in any of his 12 starts in 2014. Niese’s issue in the past has been throwing too many pitches early in the game and not being able to give the Mets much length. Niese has gone seven innings in three of his last four starts. Last weekend in Philly the Mets needed Niese to go deep in the ballgame badly after all the extra inning games. Niese delivered his longest outing of the year going eight innings, giving up just two runs on 91 pitches in a game the Mets would win 4-3 in 11 innings. Niese probably won’t garner all-star consideration because of his lack of wins. In today’s game there are so many great pitchers that you really need the wins to just get yourself noticed ahead of all the great competition. Somehow Niese’s 2.68 ERA is 11th in the National League. Niese was fantastic again Friday night vs. the Giants but the Mets offense couldn’t muster up more than two runs, in what turned into a no-decision for Jon during the Mets 4-2 loss down in the Bay area. If Niese stays healthy this looks to be his best statistical year in what is now part of his seventh big league season.